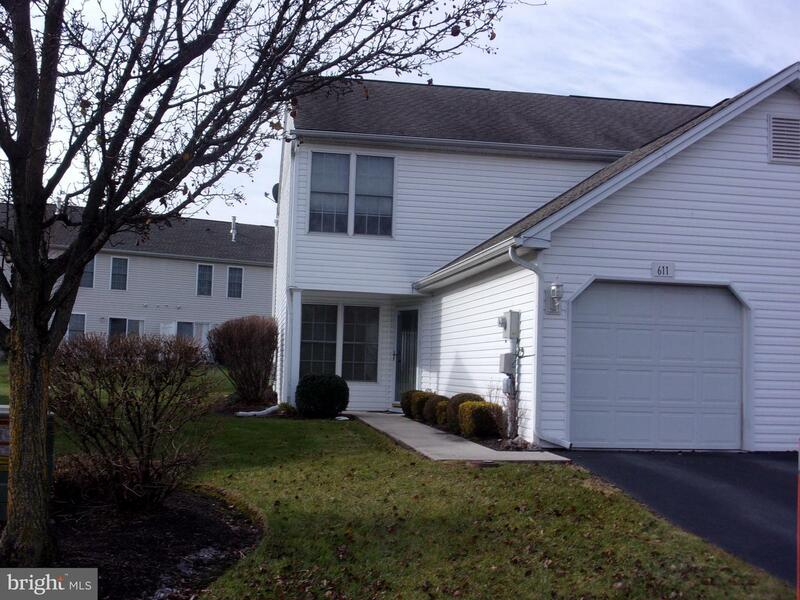 Gorgeous and Well Kept townhouse in the popular Fairfield Development! Greeted with an open floor plan and beautiful gas fireplace when you enter the home.The open kitchen with bar and dining area leads to sliding glass doors to the rear patio and backs up to a large open common area with a beautiful view! 1 car garage access at main entry level. Features a half bath on main level. The laundry is located on the 2nd level along with 2 large bedrooms each with their own full bathrooms. Ample closet space through out! West Shore schools and only minutes to I83. Schedule your showing today!